Increased demand for health services and increasing expectations to service delivery have a significant effect in shaping work dynamics.Contemporary issues surrounding the global pharmacy workforce identified from the literature's include the importance of working conditions and job satisfaction, wide range of supply and demand factors affecting the workforce and migrations.To support growth in the establishment of pharmacy practice and its aspiration for increased patient focused care, work force needs another trends will need to be factored into pharmaceutical service development plans. In order to meet the MDGs, had laid revolutionary change in every sector of healthcare system in accelerating, delivering and planning the future health care professional not only to national needs but also to global health innovations. In many countries, pharmacists are the most accessible of all health care workers and a such play a key role in the delivery of health care services, particularly the safe distribution of medicines at all levels. In an era of rapidly accelerating change in health care delivery, the roles of pharmacists are constantly being redefined, as roles, competency, and training requirements change.Thus, understanding the current workforce and the factors that influence it are key components to human resource planning in pharmacy. As the recent report from the Office of The Chief Pharmacist of US, a health system improvement that is well supported by the evidence-base is to maximize the expertise and scope of pharmacists in minimize expansion barriers for an already existing and successful upgrading the health care delivery models in USA, Canada, Australia and Great Britain. There is also a need for countries to model their workforce needs based on predicted future provision of services and care, roles and responsibilities of the pharmacy support workforce, increased use of technology, the advancement of biotechnology and personalized medicine, demographic changes, and future patterns of working all while ensuring there is a sustainable academic workforce to maintain the supply of suitably trained pharmacists. The level of job satisfaction among pharmacy personnel is an important indicator of staff turnover and retention. A number of studies found female pharmacists hold high levels of job satisfaction compared with their male counterparts.Other factors identified as increasing pharmacist retention were good remuneration, good relationships with co-workers, and flexible schedules. Factors increasing staff turnover included high stress, insufficient or unqualified staff, and poor salary.Evidence also suggests that pharmacists engaged in shift work might present unique characteristics, which has implications for labour supply and pharmacy services delivery. Continuing professional development (CPD) has the potential to be useful in pharmacy workforce revalidation. Pharmacy professionals on the whole agreed with the principle of engaging with CPD, but there was little evidence to suggest widespread and wholehearted acceptance and uptake of CPD, essential for revalidation.Direct experience of effective CPD in the absence of perceived barriers could impact personal and professional development and patient benefit, thus strengthening personal beliefs in the value of CPD. Supply and demand issues: Current status & future directions Increased demand and limited supply of pharmacists constrains the ability of the workforce to expand. Many different supply and demand factors that influence the pharmacy profession were identified, the majority of which were common to most countries. Supply and demand issues: Current status & future directions The most common factors increasing demand for pharmacists were increased feminisation, increased clinical governance measures through continually reviewing and improving the quality of patient care, increased numbers of prescriptions, and increased complexity of medication therapy. The most common factors mitigating demand for pharmacists included increased use of technology, expansion in the numbers and roles of pharmacy technicians, and increased numbers of pharmacy graduates. There is greater migration from less-developed countries to more-developed countries. The pharmacist workforce from African and Asian countries was disproportionately affected by migration. 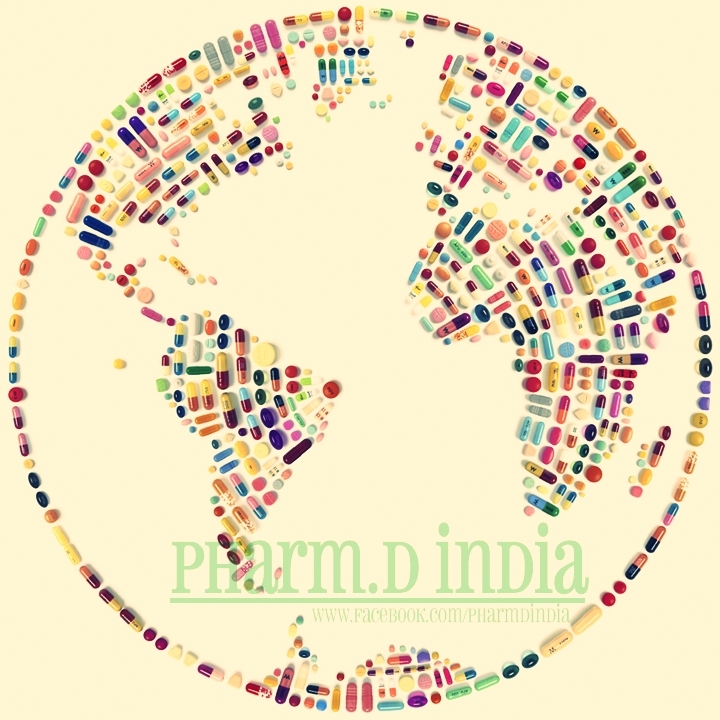 Significant number of pharmacists from developing countries migrate to the developed world; however, the extent of such migration was not properly captured. Postulated reasons for migration include better remuneration, joining or supporting family, political and social instability, poor living conditions, poor working conditions and management, unsafe environment, further training and qualifications, and job opportunities and satisfaction. The current challenges affecting the global pharmacy workforce in ensuring equitable access and responsible use of safe, effective and quality medicines. The present status states that there is a huge paradigm shift from the past to current Pharmacy profession leading in the developed countries for more advancement and the developing countries upgrading for the better services with new branches in managing future needs in delivering of the health services. But still many skillful pharmacists are needed to strengthen the workforce in the Global Pharmacy.